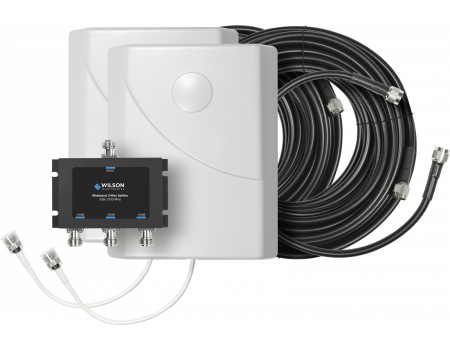 Add two additional panel antennas to a 50 ohm signal booster system. 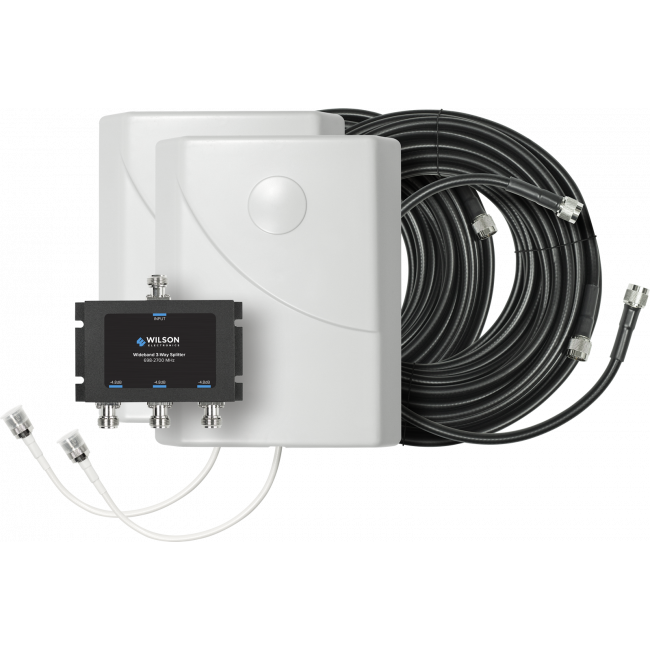 Includes everything you need: panel antennas, cables, and 3-way splitter. 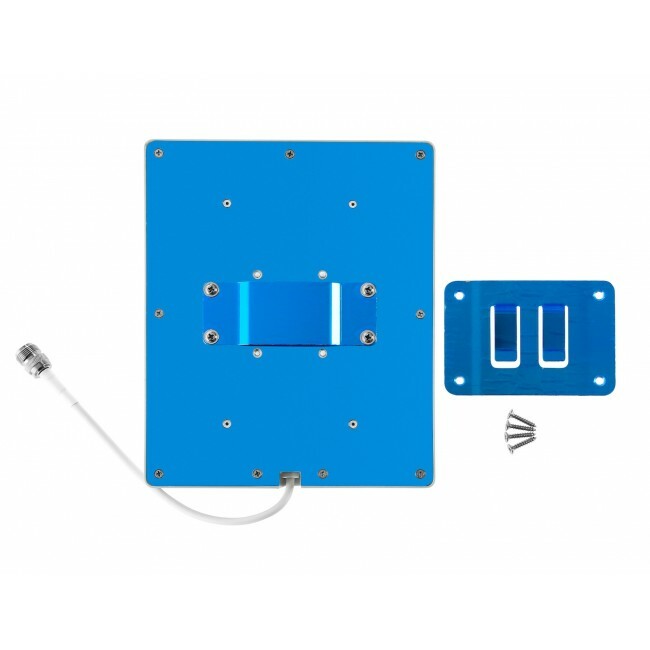 The Add-On 2 Internal Panel Antenna Kit (SKU: 309907-50N) contains everything needed to add two additional antennas (for a total of three) to a 50 ohm signal booster system. 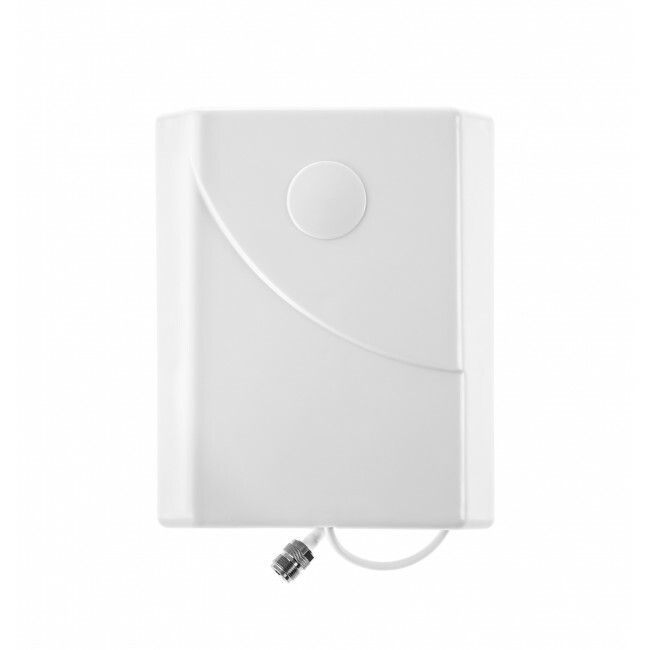 Two additional antennas can be very helpful in situations where a home or office has areas that aren't adequately covered by a single antenna. For example, a building with an "L" shape may require one antenna in each of "wings" in order to provide a strong signal. Two additional antennas can also help with coverage in multiple rooms that have thick walls in between or with multiple stories where the floor does not allow a signal to pass between stories. The Add-On Internal Panel Antenna Kit includes the following components. 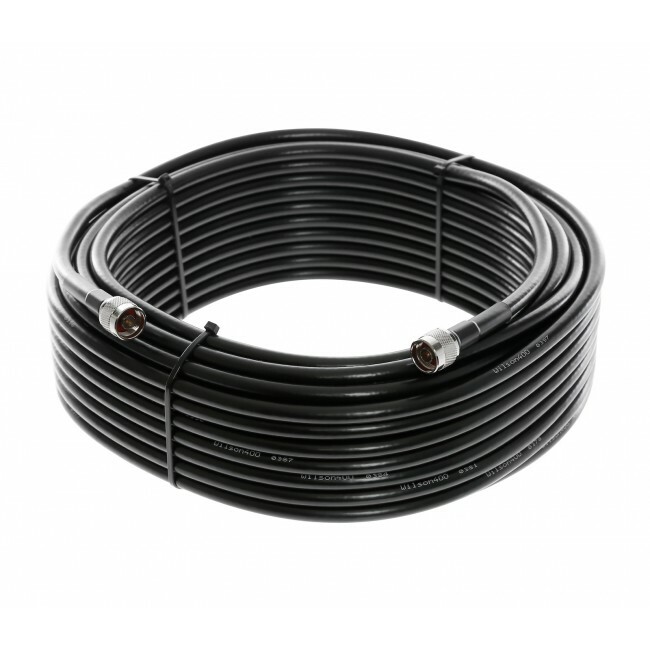 To install, connect the included 2 foot long coax cable to the internal antenna port on your amplifier. 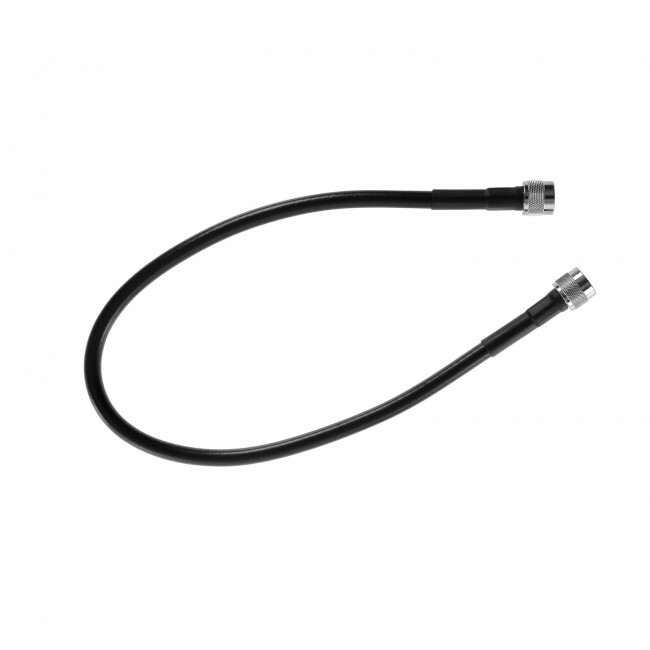 Then connect the included 3-way splitter to the other end of the 2 foot coax cable. From one of the outputs on the splitter, connect the coax cable and antenna that came with the signal booster system. 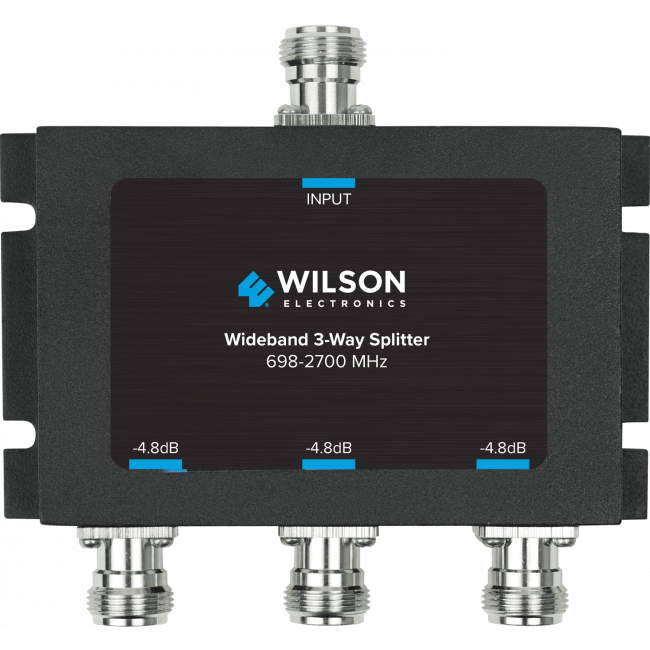 From the other two outputs on the splitter, connect both 60 foot coax cables and panel antennas that are included with this system. Before permanently mounting the antennas, it's a good idea to temporarily place them where you think they should go, power on the system, and test the level of coverage you get in the space you're trying to cover. If you find spots that don't have adequate signal, try adjusting the antennas. If you run into trouble, you can always call our technical support representatives for help.